Hearing is one of the most crucial means of survival in the animal world, and speech is one of the most distinctive characteristics of human development and culture. So it is no surprise that the science of acoustics spreads across so many facets of our society—music, medicine, architecture, industrial production, warfare and more. Art, craft, science and technology have provoked one another to advance the whole, as in many other fields of knowledge. 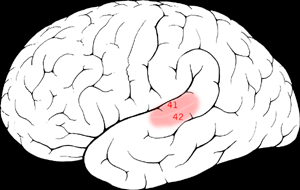 The word "acoustic" is derived from the Greek word ἀκουστικός (akoustikos), meaning "of or for hearing, ready to hear" and that from ἀκουστός (akoustos), "heard, audible", which in turn derives from the verb ἀκούω (akouo), "I hear". The Latin synonym is "sonic". After acousticians had extended their studies to frequencies above and below the audible range, it became conventional to identify these frequency ranges as "ultrasonic" and "infrasonic" respectively, while letting the word "acoustic" refer to the entire frequency range without limit. Many books and websites about musical theory written by Western musicologists mention Pythagoras as the first person studying the relation of string lengths to consonance. However, from at least 3000 BC, the Chinese were already using a scale based on the knotted positions of overtones that indicated the consonant pitches related to the open string, present at their Guqin. Like the Chinese, Pythagoras wanted to know why some intervals seemed more beautiful than others, and he found answers in terms of numerical ratios representing the harmonic overtone series on a string. Aristotle (384-322 BC) understood that sound consisted of contractions and expansions of the air "falling upon and striking the air which is next to it...", a very good expression of the nature of wave motion. 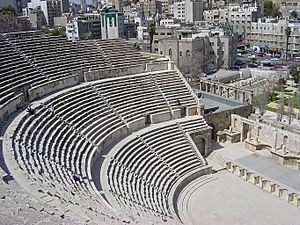 In about 20 BC, the Roman architect and engineer Vitruvius wrote a treatise on the acoustical properties of theatres including discussion of interference, echoes, and reverberation—the beginnings of architectural acoustics. The physical understanding of acoustical processes advanced rapidly during and after the Scientific Revolution. Galileo (1564–1642) and Mersenne (1588–1648) independently discovered the complete laws of vibrating strings (completing what Pythagoras had started 2000 years earlier). Galileo wrote "Waves are produced by the vibrations of a sonorous body, which spread through the air, bringing to the tympanum of the ear a stimulus which the mind interprets as sound", a remarkable statement that points to the beginnings of physiological and psychological acoustics. Experimental measurements of the speed of sound in air were carried out successfully between 1630 and 1680 by a number of investigators, prominently Mersenne. Meanwhile Newton (1642–1727) derived the relationship for wave velocity in solids, a cornerstone of physical acoustics (Principia, 1687). 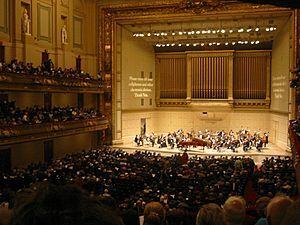 The eighteenth century saw major advances in acoustics at the hands of the great mathematicians of that era, who applied the new techniques of the calculus to the elaboration of wave propagation theory. In the nineteenth century the giants of acoustics were Helmholtz in Germany, who consolidated the field of physiological acoustics, and Lord Rayleigh in England, who combined the previous knowledge with his own copious contributions to the field in his monumental work "The Theory of Sound". Also in the 19th century, Wheatstone, Ohm, and Henry developed the analogy between electricity and acoustics. The steps shown in the above diagram can be found in any acoustical event or process. There are many kinds of cause, both natural and volitional. There are many kinds of transduction process that convert energy from some other form into acoustical energy, producing the acoustic wave. The final effect may be purely physical or it may reach far into the biological or volitional domains. The five basic steps are found equally well whether we are talking about an earthquake, a submarine using sonar to locate its foe, or a band playing in a rock concert. Physicists and acoustic engineers tend to discuss sound pressure levels in terms of frequencies, partly because this is how our ears interpret sound. What we experience as "higher pitched" or "lower pitched" sounds are pressure vibrations having a higher or lower number of cycles per second. 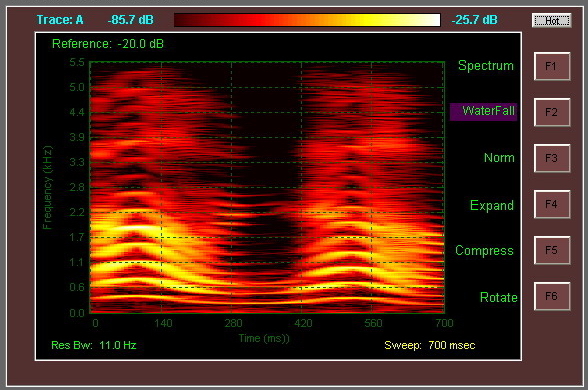 In a common technique of acoustic measurement, acoustic signals are sampled in time, and then presented in more meaningful forms such as octave bands or time frequency plots. Both these popular methods are used to analyze sound and better understand the acoustic phenomenon. The entire spectrum can be divided into three sections: audio, ultrasonic, and infrasonic. The audio range falls between 20 Hz and 20,000 Hz. This range is important because its frequencies can be detected by the human ear. This range has a number of applications, including speech communication and music. The ultrasonic range refers to the very high frequencies: 20,000 Hz and higher. This range has shorter wavelengths which allows better resolution in imaging technologies. Medical applications such as ultrasonography and elastography rely on the ultrasonic frequency range. On the other end of the spectrum, the lowest frequencies are known as the infrasonic range. These frequencies can be used to study geological phenomenon such as earthquakes. A transducer is a device for converting one form of energy into another. In an acoustical context, this usually means converting sound energy into electrical energy (or vice versa). For nearly all acoustic applications, some type of acoustic transducer is necessary. Acoustic transducers include loudspeakers, microphones, hydrophones and sonar projectors. These devices convert an electric signal to or from a sound pressure wave. The most widely used transduction principles are electromagnetism (at lower frequencies) and piezoelectricity (at higher frequencies). A subwoofer, used to generate lower frequency sound in speaker audio systems, is an electromagnetic device. Subwoofers generate waves using a suspended diaphragm which oscillates, sending off pressure waves. 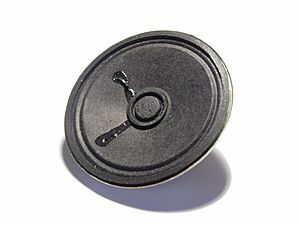 Electret microphones are a common type of microphone which employ an effect similar to piezoelectricity. As the sound wave strikes the electret's surface, the surface moves and sends off an electrical signal. Acoustics Facts for Kids. Kiddle Encyclopedia.